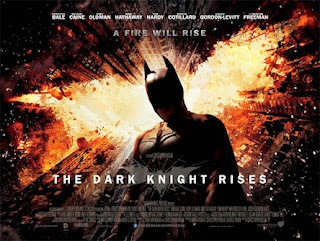 After so much hype behind June's highest profile release, 'Prometheus', it would be wise to not get too excited about July's undoubted blockbuster, 'The Dark Knight Rises. Of course, that's wishful thinking. For more on that film and other lesser known July highlights, keep reading. Did we really need to reboot Spider-Man so soon? Apparently so. But I was fairly pleased when '(500) Days Of Summer' director Marc Webb was announced as the man behind the latest instalment. With Andrew Garfield and Emma Stone as the leads, there is plenty to be excited about here. I've heard extremely favourable reactions to this documentary which examines the mystery of 70s musician Rodriguez. His music bombed in his native Detroit but unexpectedly found an audience in apartheid-stricken South Africa, his legend made ever more extraordinary by rumours of an on-stage suicide. I can't say I was overly inspired by the first trailer for 'The Lorax' but I'm much more on board now. I guess soundtracking your new trailer with The Polyphonic Spree will do that. Having enjoyed 'Horton Hears A Who' so much, I'm very hopeful that this might be an equally life-affirming Dr Seuss-based offering. This "Tony Kaye talkie" seems to have flown under the radar, despite boasting an ensemble cast featuring the likes of Adrien Brody, Marcia Gay Harden and James Caan. Perhaps it has too much of an awards fodder feel. I'm generally up for a slice of classroom melodrama however, and 'Detachment' seems to echo the intriguing Ryan Gosling-led 'Half Nelson'.